Maine’s legislators are taking different approaches in the wake of U.S. air strikes in Syria. PORTLAND, Maine — Maine’s legislators are taking different approaches in the wake of U.S. air strikes in Syria. 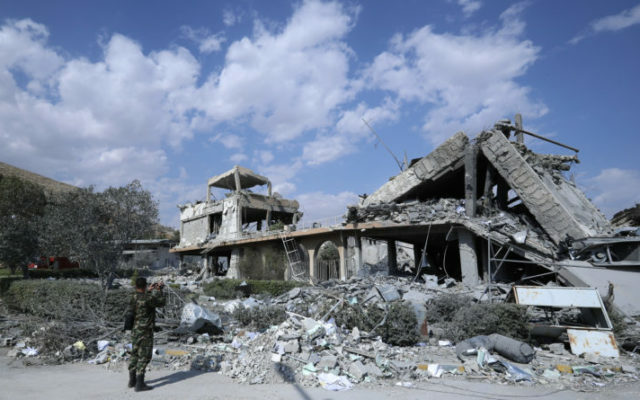 The United States, France and Britain fired military strikes on Saturday intended to punish Syrian President Bashar Assad for the alleged use of chemical weapons. Republican Sen. Susan Collins says the missile strikes were “a justified and proportional response” to Assad’s actions. She says the strikes send a message from world powers that chemical weapons are off limits. Independent Sen. Angus King, who caucuses with the Democrats, says he agrees the international community can’t tolerate use of chemical weapons. But he adds he’s concerned that a response from the U.S. and allies that isn’t “carefully targeted and coordinated” could escalate tensions from a civil war to an international conflict. Representatives Chellie Pingree, a Democrat, and Bruce Poliquin, a Republican, echoed King’s reservation.